The Directors of Woodlands International College broke ground of, what promises to be, a one of a kind multi-purpose College Hall, unrivaled in educational institutions in this region. This 2500 square meter facility will seat 1000 people at capacity. 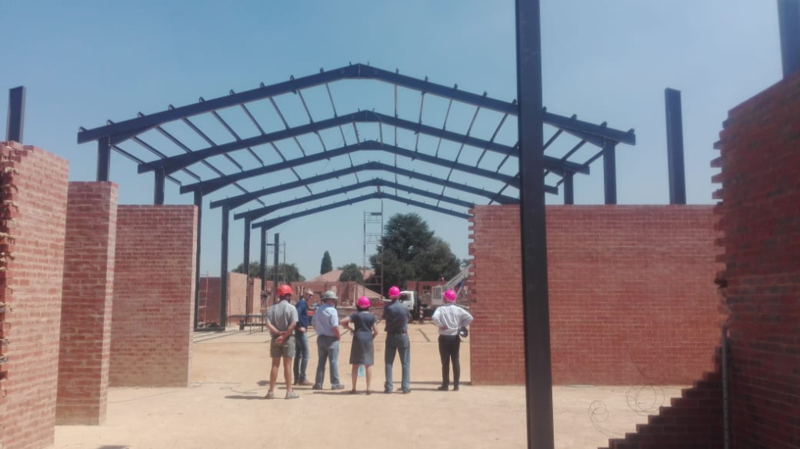 The design and size of the hall are driven by the vision of a high performance indoor sporting facility that will cater for indoor netball, hockey, soccer and the like. The plans also include state of the art performing arts facilities that will provide the capabilities to produce and host world class major productions as well as major symphonic and other theatrical events. The hall will, also, be fitted with all the 21st century learning related capabilities and technologies for conferencing, workshop and exhibition purposes. The design of the hall leads out onto the wetland area, which is a well-integrated feature in the life of Woodlands International College. This state of the art facility, combined with the natural serenity of the Woodlands wetlands, is the perfect combination of 21st century thinking, intelligent structural design and bold investment by the College Directors who must be commended for their vision and courage to follow this vision in the form of this wonderful new facility. The building is getting exciting and completion is expected in June 2019.